E-Commerce –The single term which has changed the entire face of practicing business demands a lot of technicality and strategy in itself. Being an entrepreneur, you must either already be registered your business portal on the World Wide Web or would be planning to do the same in the near future. Since the evolvement of the idea, the online business has been progressing constantly. However, internet marketing did and will assumingly continue to have its core in the content writing. You May Also Like: How Content Marketing Influence Your Online Business? When you meet a client, the first question often asked is – How would get me the most trending keywords in the business? 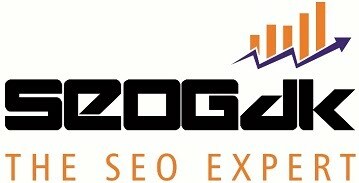 And trust me; no businessman would want to pay for each and every service that they subscribe to in the SEO package. After all, everybody likes to have some free perks! And if you are a beginner, then it is definitely suggested that you go for free keyword research tools rather than the paid one. Are You Making The Crucial Content Decisions With the Right Tools? Having personally used some of these tools, I would recommend the following 7 keyword research tools for your next SEO content project. Google! Need I say more? Being the most popular tool, it hosts a large array of keywords. However, the trouble with the free version is that it displays only up to 800 related keywords in the options for your search. Nevertheless, there is no need to worry. With its keyword suggestion tool that provides a rather relevant list, you can get more options for keywords at hand. Besides if you have any keyword in your mind, this tool would provide you information that also. It is almost similar to the Keyword Planner. Enter your seed keyword with other relevant information consisting specifications about the target audience and a list of relevant keywords would appear on your screen. However, it is exclusively available to the Bing users only as the data is processed through their search engine. So, Go Bing along with Google for better results! You May Also Like: How to Use Least Visitor Count Long Tail Keywords? Let’s get back to our favorite search engine – Google! This tool generates keyword suggestion through the technique of Google Auto-complete. It implies that if you input a seed keyword, the tool would come up with hundreds of more keywords adding query, term, alphabets or numbers to it. Thus, you would have more keyword options which are being chosen by users through auto-complete related to your seed keyword. If you have been working in the SEO field for some time now, you must already be familiar with this tool. Quite old and most popular, Ubersuggest also generates its list of keywords through Google. However, it provides you the feature about this tool is that you can expand each suggested keyword to have more options at your disposal. If I tell you that you can now check what keywords your competitors are using in their content, wouldn’t that help you in strategizing better? Spyfu would let you find exactly the same. Hold on! The best part is yet to be revealed. It won’t just tell you what your competitors are choosing but would also differentiate them from what the top players in the market are doing that makes them successful and hence providing you a clear picture of which keywords you should choose. If you really want to know the amount of competition and traffic that you are going to face for a particular chosen keyword then Keyword Eye is a must-have tool for you. Additionally, it also marks the competition that you would face when you subscribe the same keyword for Pay-Per-Click (PPC) advertising. You might be wondering that what this tool would have as a USP that the others mentioned above didn’t. It would also search for keywords against the seed keywords like all others. It would also suggest the limited number of keywords based on the niche search. Well, you are absolutely correct in thinking so. But you are yet to know what makes this tool probably the best of all. Soolve gathers the keyword list and information from not a single search engine; rather it supports multiple engines including Google, Yahoo, Amazon, Bing, YouTube, eBay and many alike. The use of right keywords in the appropriate amount can have a major contribution to your campaign’s success story. Investing in the content and keyword search is a major decision, be wise in choosing your tool!!! 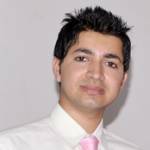 Mozrif is an analytical and versatile digital marketing evangelist, consultant, content writer at WeDigTech. A hub of skilled Mobile App Developers focused on helping businesses from domestic to MNCs. I have to say that keyword research is the base of whatever we are doing over internet. On a keyword you rank has 1000 searches a month or 1000k searches a month will decide the amount of traffic you are going to attain organically. THanks for sharing. very helpful in content marketing too. Truly a great list here Mozrif. But you did not mentioned about Market Samurai. This keyword research tool may be a game changer.